The number of contracts to buy homes signed during any given month can be used to get an idea of what home sales are going to look like in coming months. That’s why the National Association of Realtors tracks pending home sales. 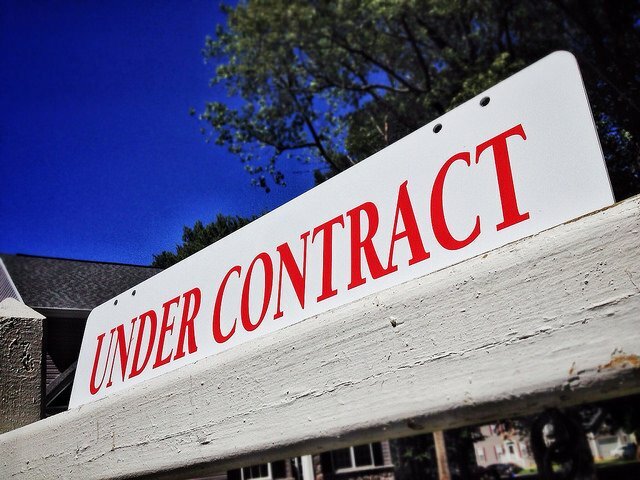 Because pending sales measure signings, not closings, they can be a good indicator of future existing home sales. In July, the NAR’s Pending Home Sales Index fell 0.8 percent, marking the third decline in four months. Lawrence Yun, NAR’s chief economist, says buyer traffic continues to be higher than the supply of homes for sale. “Buyer traffic continues to be higher than a year ago, the typical listing has gone under contract within a month since April, and inventory at the end of July was 9 percent lower than last July,” Yun said. “The reality, therefore, is that sales in coming months will not break out unless supply miraculously improves.” But, despite the challenges, the NAR still expects sales to surpass last year’s levels, if only slightly. Also in the report, the national median existing-home price is expected to be up 5 percent this year, which is about the same amount prices rose the year before. More here.